Yikes. 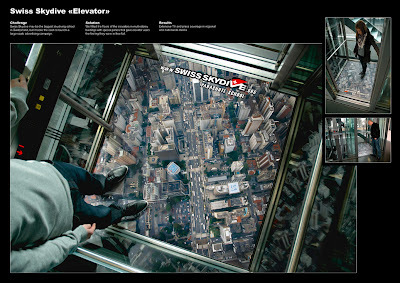 A Swiss skydiving school put aerial shots of a city on the floors of high-rise elevators. The impressions were sure to sink in, along with a few heart attacks. Via Angela Natividad at AdRants.